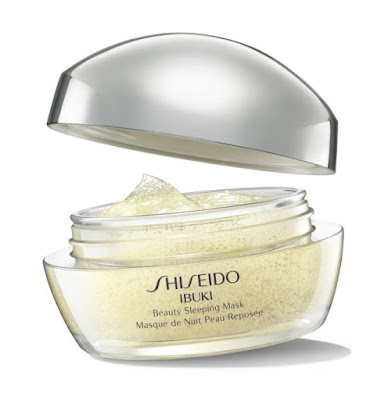 Shiseido Total Recharge Ibuki Beauty Sleeping Mask - 80ml - $48 - an overnight leave-on gel mask containing condensed vitamin capsules that visibly corrects dullness and tired looking skin to leave it looking and feeling fully refreshed. Just apply on the skin before sleep, giving the phytoplankton extract it contains lots of time to help revitalize the skin and wake up with skin that looks plump, radiant, dewy and well-rested, even if you didn't sleep very well! Available at Shiseido counters across Canada including at Hudson's Bay stores and select Shoppers Drug Mart Beauty Boutiques.